If you haven’t noticed from the countless adverts and tie-ins, there is a brand new Despicable Me movie. This third outing sees the return of Gru, his adopted children and, of course, the Minions, who have become so successful they are engraved in pop culture. The question is, are we a nation bored with the yellow creatures and their master or can we not get enough of their antics? 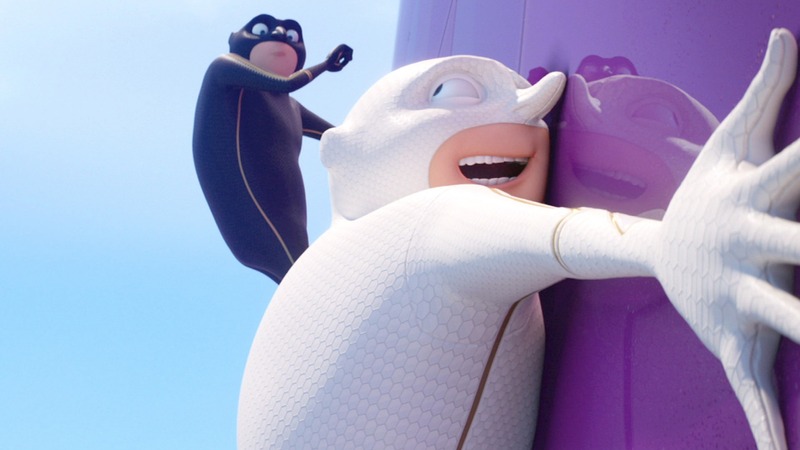 Gru, who now works for the AVL (Anti-Villain League) along with his wife, Lucy, are after Balthazar Bratt, a former 80’s TV child star who has turned to a life of crime, using the toys and music of his time. Except, Bratt keeps outsmarting Gru to the point that he is kicked out of the AVL. 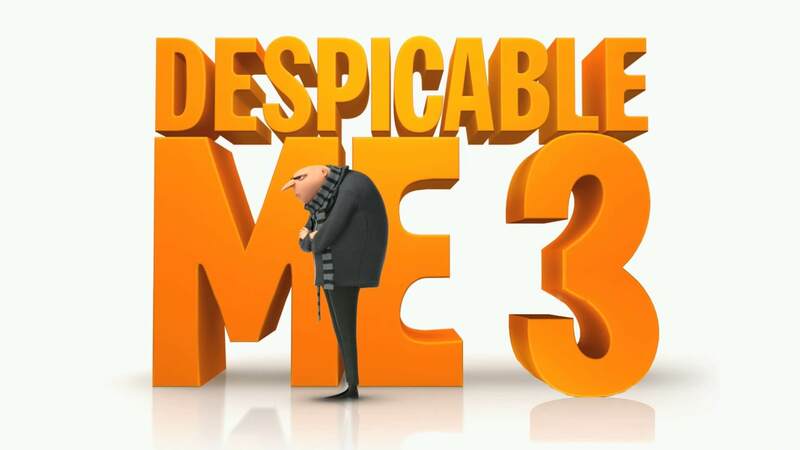 Gru then discovers that he has an identical twin brother, named Dru, who wants to be a villain and wants Gru to help him. 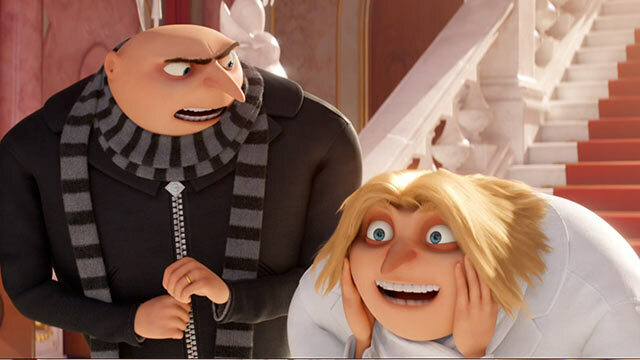 Gru, however, sees this as a chance to capture Bratt once and for all. The film starts off promising. A hilarious pre-credit sequence in which Bratt is stealing a diamond from a cargo ship only to have Gru ending up embarrassing himself. Within this one section, there are enough laughs to keep anyone satisfied. Except this is a Despicable Me film, so we expect so much more. Sadly, the film slowly loses its way as the film carries on. The jokes don’t all work and the so much of the film turns slightly sickly sweet, particularly the subplots about Lucy wanting to be more of a mother to Gru’s children and little Anges’s hunt for a real life unicorn. The inclusion of Dru, Gru’s twin brother also becomes a little tiresome quickly. A much lighter version of Gru but with hair, his continuous longing to be a bad guy is like an annoying child who can’t get his own way. Gru works because he thinks he is perfect and its everyone else who is wrong. Dru is just a walking disaster who whines about it and while there are moments when this is funny, you want the scenes to move on quickly. Where the film does work is Balthazar Bratt, an 80’s throwback with dodgy mullet and purple suit who uses 80’s pop tunes to have fight dance-offs. The film lifts when he appears and is a huge plus to the success of this second sequel. The Minions are also back to form this time after their stand-alone film. Where that film failed was because there was too much of them. Here they are spaced out and include a hilarious set piece where the Minions are imprisoned only for them to be feared. Throughout there are flashes of the reason we love these movies so much: the irrelevant often surreal humour, the sweetness and a slight air of anarchy. Yet this time round it isn’t consistent and the gags don’t always hit the target. Steve Carell, who is responsible for giving Gru his voice, is back, only this time he’s also Dru. Kristen Wiig also returns as Lucy, while Trey Parker, he of South Park fame, is perfect as Bratt. I am a huge fan of the Despicable Me films but even I struggles with this third entry. One thing I was thinking while watching was I hope it doesn’t end up as another Ice Age. Illumination Animations, the makers of this, are an inventive company who are close to becoming second to Pixar. I just hope that if there is a fourth film, that they look at what hasn’t worked here and get back on track. I did laugh but not as much as I have done in the previous films.